With Montana’s economy in a timid recovery, “jobs” has become the buzzword of this legislative session. However, if the actions taken by the legislature are ultimately adopted, they would destroy thousands of jobs across the state of Montana. 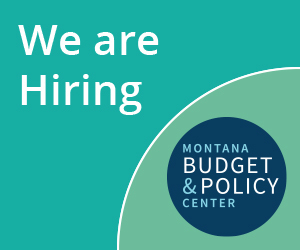 The proposed budget would weaken Montana’s essential public services, hurt hard-working families, and divert Montana from a path to long-term and widely-shared prosperity.